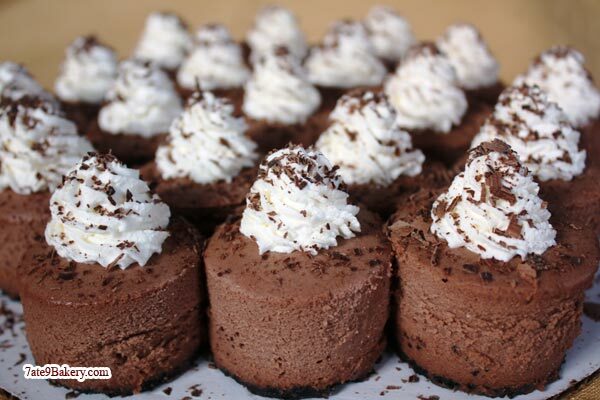 A clear blend of rich chocolate with classic cheesecake baked on a chocolate cookie crust. Cakes comes topped with whipped cream and dark chocolate shavings. Made with Valrhona Chocolate.